I’m always up for a new fun challenge, so I joined a brand new one, hosted by Evelyne at CulturEatz called Eat the World. In this fun club, participants create a dish inspired by the selected country each month. This month, the country was Cuba! A couple years ago, I made a few Cuban dishes, Lechón Asado (Cuban-Style Roast Pork), Pan Cubano (Cuban Bread), and Cubano (Cuban Sandwich), so I wanted to try something new. 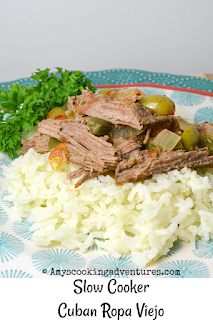 A quick search showed that Ropa Vieja is a very popular Cuban dish. Though my family (except me) does not care overmuch for olives, I decided to give this a shot anyway. The first day, this dish was amazing – after picking out the olives, my family could not stop eating it. But it lost something the next day and just wasn’t quite as good. It was surprising, because many foods improve after sitting in the fridge overnight. Not this one. It wasn’t bad, but it certainly wasn’t as good as the first time around. I ended up adding cheese to the leftover and serving over chips like super nachos and it helped. Place the vegetables and spices in the slow cooker. Liberally seasons the roast with salt and pepper, place on top of the vegetables. Place the vegetables and spices in the slow cooker. Liberally seasons the roast with salt and pepper, place on top of the vegetables. Cook on low for 8 hours.Remove meat and shred. Remove bay leaf. 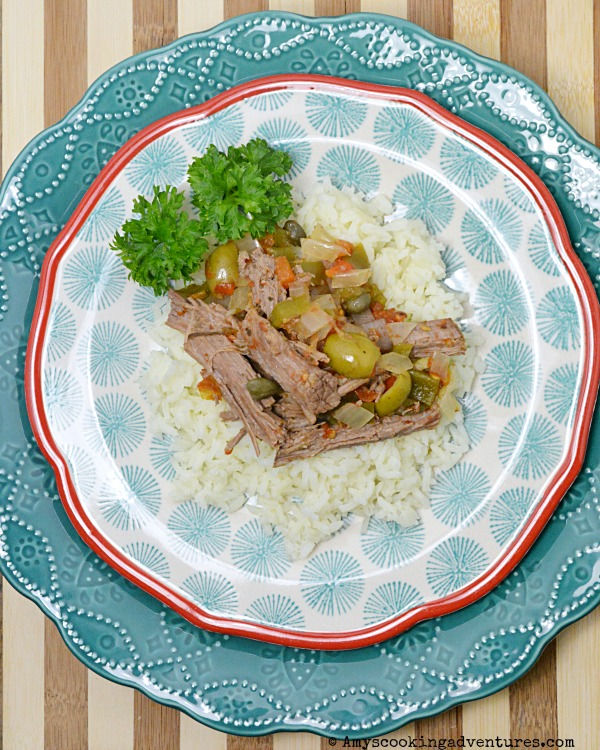 Add shredded meat back into the slow cooker with the vegetables along with the olives and capers. Stir to mix Serve over rice. 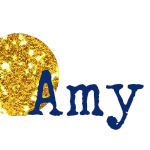 Great minds Amy...I served my leftovers the following night over baked potatoes. I didn't find that it lost the flavor. 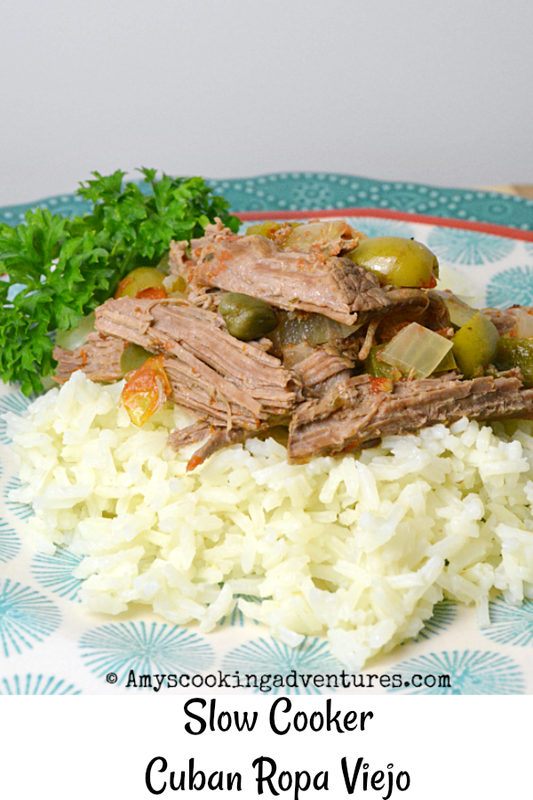 I didn't add the olives to mine and used round steak but other than that the recipes are the same. Hmmmm......Adding the cheese and making nachos was a great idea. This looks so delicious, and I love olives. How interesting that it is better the first day! Not what I'd expect either! Great dis and I say bring on the olives. How weird the flavors did not develop but love he idea of turning it into nachos. So happy to have you part of the group! Looks delicious! And so easy! So interesting and unexpected that it was best the first day. Great post and I love the nacho idea. I'm jealous that you've also made Cuban sandwiches. I could eat those everyday! I love slow cooker dishes for busy weekday nights. I can't wait to try this recipe! I love Cuban food. 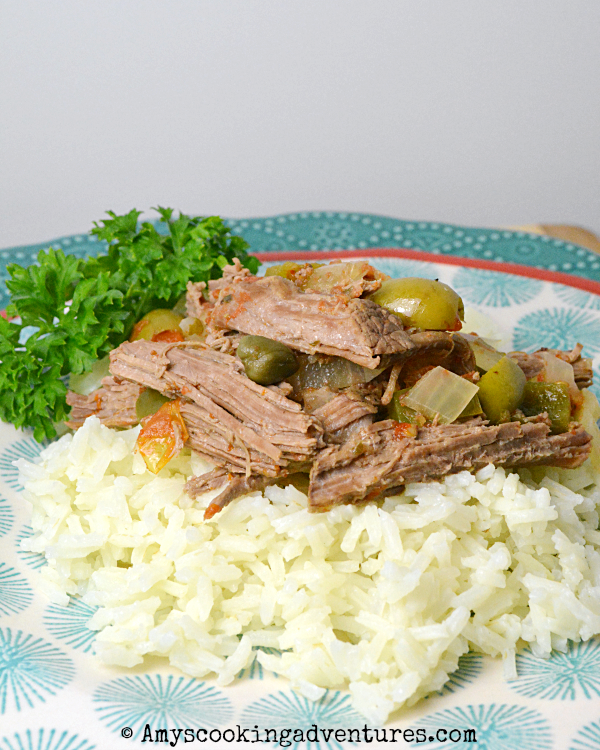 Definitely need to try your slow cooker ropa vieja because it looks amazing. What a great challenge! We definitely are stuck in our ways when it comes to food. I'd love to try some new things with my guys. I've had this on my list to make for a while, looks great! I have never made ropa vieja. I will have to fix that soon!